Home ownership is a big deal, and a large part of the American dream. And when that home is a lake home, it makes the dream even more vivid. But owning a home is no walk in the park. It requires long-term commitment and a ton of responsibility to keep the place up and running. The maintenance in and of itself is a lot to keep up with, and at a lake home, maintenance is an even bigger factor. That’s why so many choose to just rent vacation homes for a few months at a time rather than buy them. So how do you decide when it’s a good idea to opt for ownership? Let’s take a look at some common advantages and disadvantages of owning a lake home. That way, you can make a sound decision about what’s best for you and your family in the future. Most of the advantages of owning a lake home are glaringly obvious, while some aren’t as easy to spot at face value. First, mortgage costs–which are typically fixed-rate payments–are more stable and predictable than rental rates, which are known to fluctuate. Additionally, buying is often cheaper than renting. When making the switch from renting to owning, the average person adds one bedroom and 400 square feet to their home, according to Zillow’s 2017 Consumer Housing Trends Report. Assuming they make a 20 percent down payment and a typical monthly rate, the average renter could buy a larger home and still pay $330 less each month on their mortgage than if they were renting. Also, when market conditions are stable, homes tend to increase in value and build equity, making them sound financial investments. If you use your lake home as a second home, renting it out a few times during the year can speed up the process and make for an extremely lucrative source of residual income. According to Home Away’s Vacation Rental Marketplace Report, in 2014, vacation rental owners charged an average rental rate of $1,520 per week ($217/night). That translates to a residual annual income of $27,360 for the owners, and that’s just on average. The Report also noted that 54 percent of vacation home owners cover at least three quarters of their mortgage costs by renting their homes to vacationers. In short, owning a vacation home can make you some money. Additionally, owning a home creates an asset that will only increase in value for years to come. As with any home, ownership of a lake home does come with its disadvantages. For starters, owning a home is essentially growing roots. It ties you to your community and makes it difficult to just pick up and leave. This long-term financial commitment includes high up-front costs like down payments, closing costs and moving expenses. Plus, in many cases Home Owners’ Association fees are inevitable. It’s also harder to qualify for a loan on a second home than on a primary residence. Those shopping for secondary residences are often expected to have higher credit scores and put more money down. According to U.S. News and World Report, the higher down payments reduce the lenders’ risk if the borrower defaults, which is seen as more likely with second homes. Another disadvantage: as a home owner, all repairs and maintenance responsibilities fall on you. And lake homes tend to require more frequent repairs and maintenance. Since lakes are usually surrounded by more trees than the average neighborhood, structural damage to roofs/buildings are a real threat. Lake home owners also have to fight against mold and mildew, which is more prevalent thanks to all the moisture in the air. In addition to all of that, traditional wooden docks tend to have a lifespan of 20-25 years. This can be shortened in the face of environmental factors like storms or water damage, so frequent upkeep is a necessity. These disadvantages, while inconvenient, are inevitable aspects of owning a lake home. But do the pros outweigh the cons? The good thing about lake living is that the experience varies greatly depending on what lake you choose to buy on, so you have options. Purchasing a home in a small, suburban community that has a tiny lake for aesthetic purposes is a lot different than buying a waterfront estate on New York’s Lake George. Lakes are perfect for those who prefer peaceful, tranquil living to hectic city life. And if you actually like hectic city life, there’s a lake for that. Do you like hiking, mountain biking, skiing or sledding? There’s a lake for that. Are you into nature photography, hunting or fishing? There are so many lakes for that. Purchasing a lake home has its disadvantages that are similar to what you’d face buying any home. 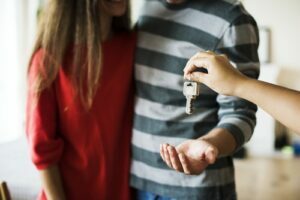 However, it’s a sound financial investment, a valuable generational asset, and it offers a certain lifestyle you wouldn’t be able to find anywhere else. Whether you plan to live there full time or visit only when the weather’s nice, buying a lake home is totally worth it.